Industry demand for pools and spas is driven by the general economy and consumers’ disposable income for luxury purchases. The eco-conscious consumer looks to minimize the energy impact of operation. High efficiency variable speed motors are a must in reducing the annual cost of operating pools and spas. Variable speed operation also allows for a higher level of comfort and relaxation than traditional two or three speed products. The VGreen® variable speed pool motors are simple to operate for the home owner or pool operator. They offer innovation, high quality, and reliable performance year after year. It was the July holiday and the pool motor at a local country club went on the fritz with the potential of closing down the pool on the busiest day of the year! The existing motor was wired for 230V 60HZ and needed to be a direct drop-in replacement of the pump motor that had just expired. The club manager called a local repair shop for help! 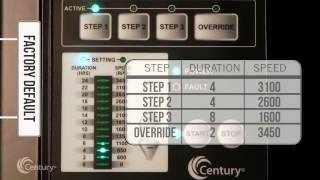 Learn more about the Century VGreen 165 Motor features. 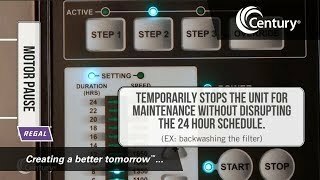 Learn how the VGreen variable speed motor freeze protection feature works when temperatures are below freezing. Learn how to use the VGreen 270 variable speed motor. Regal manufactures high quality motors, controls, and power transmission products for a myriad of Industries and applications. From high efficiency HVAC, pool, and spa motors to pump motors. Our drives and controls are “Performance Matched” to operate seamlessly with our motors. The reliability of our power transmission products guarantees years of trouble free performance. 60.0% of swimming pool construction is for new homes. Therefore, as conditions in residential construction rebounded, demand for new swimming pools also grew, albeit modestly. Over the five years to 2022, the industry is expected to struggle to make a splash despite expected growth in residential construction. One reason for this mismatch is the industry’s very success up to the Great Recession. According to estimates from PKdata, the number of households most likely to install a pool is between 750,000 and 3.4 million, which is far below the 5.1 million homes that currently have in-ground pools. This suggests that the rapid buildup of pools during the housing bubble has saturated demand, leaving future growth increasingly difficult. Demand for new swimming pools in commercial settings is expected to increase during the period, which will partially offset weak revenue growth residential pools. Over the next five years, the hot tub manufacturing industry is projected to grow moderately. Since hot tubs and spas are luxury goods, consumer demand products is highly dependent on income growth and consumer confidence. Regal actively supports and participates in industry leading trade associations, such as Association of Pool and Spa Professionals (APSP) and the Florida Swimming Pool Association (FSPA) that promote the pool & spa industry and its member organizations.